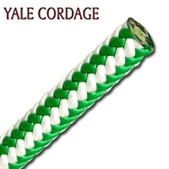 Yale XTC Spearmint is the green/white version of their most popular climbing line. Spearmint color stands out extremely well in fall foliage. 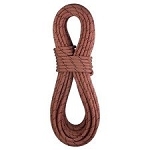 This rope was designed specifically for the demanding needs of the professional arborist. XTC product line family is an all polyester construction with a firm 16 strand braided cover over bundled parallel polyester core strands. 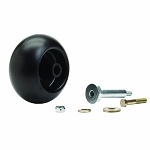 The design of XTC does not allow cover milking and eliminates the need for break-in cover adjustment. 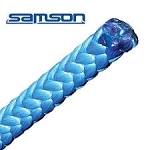 This firmly flexible heat-resistant rope offers a high snag resistance and excellent mating with friction knots and prusik loops. A high twist core of torque balanced polyester keeps the construction firm and round, providing an extra measure of safety. 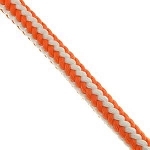 XTC is an excellent choice for both climbing line and bull rope due to its non-snagging, abrasion-resistant construction and excellent energy absorption characteristics. 120' hank of rope weighs 9.0lbs (4.1kg). **Published breaking strengths are spliced rope strengths to enable a better understanding of actual working strengths.